See the Pokémon World—Sticker Style! 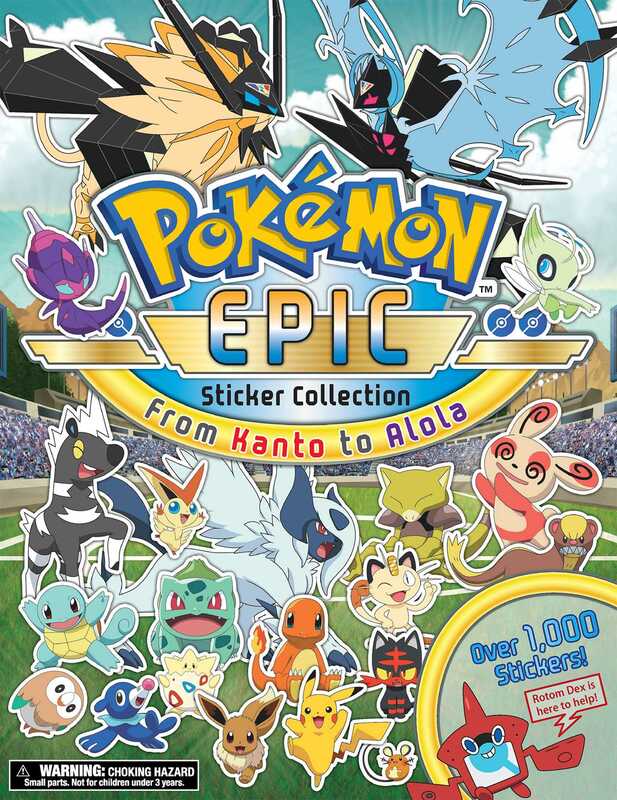 The Pokémon Epic Sticker Collection covers all known Pokémon from Kanto to Alola, including Mythical and Legendary Pokémon, Ultra Beasts, and alternate forms—you get a sticker for each Pokémon! It features each Pokémon’s full name, type, height, and weight! Rotom Dex appears throughout the Pokémon Epic Sticker Collection with helpful hints and additional information about some of the most interesting or mysterious Pokémon. Take the plunge with over 1,000 stickers!